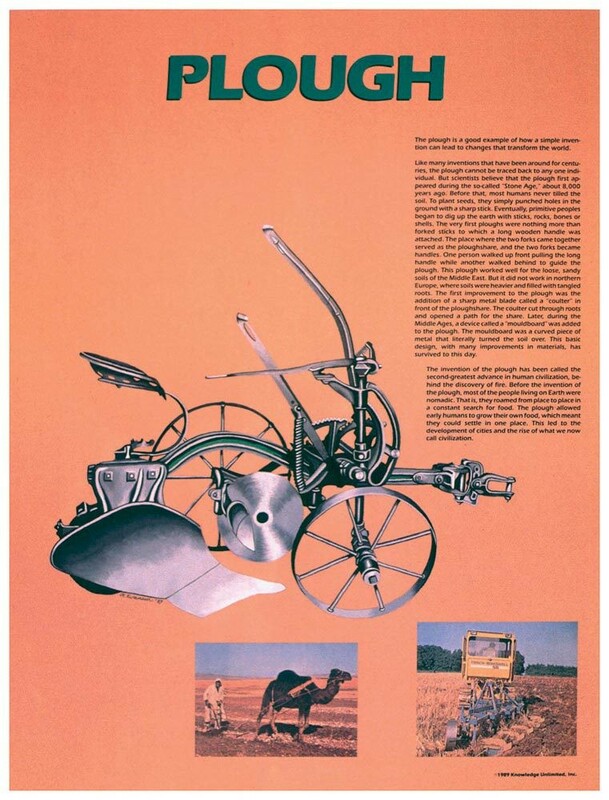 This poster focuses on the invention of the plough, called the second-greatest advance in human civilization, behind the discovery of fire. It is a part of a twelve-poster series that demonstrates how science has a profound impact on the world. 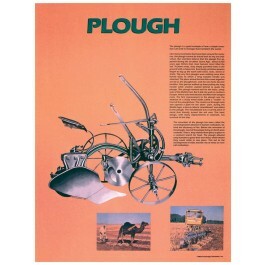 The poster features a drawing of a plough and text that explains the evolution of the plough through history and how is has led to the development of civilization as we know it today.